Wade Wilson joins Diamond Select Toys and EMCE Toys’ Mego-inspired Marvel Retro line. 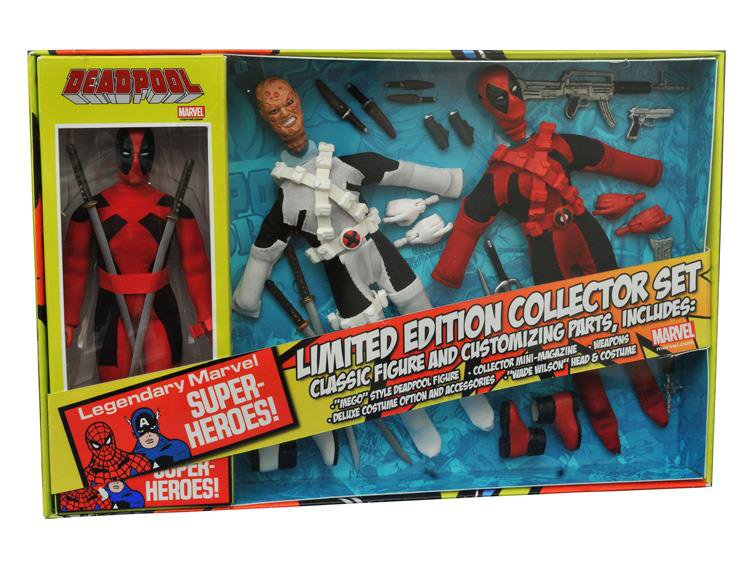 The action figure comes with an armory’s worth of blades and guns and a three sets of costumes and masks: vanilla Deadpool, deluxe Deadpool and his X-Force outfit, which is matched with his scarred face. It also comes with a mini-magazine. It’s not on DST’s website as of this writing but you can already pre-order it from BigBadToyStore for $70 (USD).